We know, that’s a lot to think about (and not even everything to think about), so let’s break this down how a city planner might think about this. The easiest way to keep your thoughts on these questions is by dividing your town into different areas and describing what the needs are in each one, and what sort of uses and development is appropriate in each part. This will help you establish a vision of the future, or a plan. 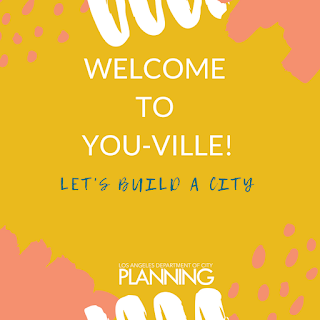 One of the first things planners think about when helping create the vision for your community or “You-ville” is thinking about how people get around. Starting with the streets will allow you to outline your city, and determine where everything else will go from there. Once the streets are plotted, we start thinking about housing. You may want to put more housing that can hold a lot of families or individuals (like apartment buildings) closer to jobs and public transportation. On the flip side you may want your houses on quieter, smaller streets. If you are doing a great job, more people are going to want to move to your city and that means more development, so your plan needs to be functional for the future. Now that we have streets and thought through housing, let’s think about lifestyle and #living. Where will your restaurants, hair salons and dentist offices go? You may not want a restaurant/bar plopped down in the middle of a row of houses (maybe you do), or a hospital on the outskirts of town, or a factory directly next to apartments, or office buildings with no parking. We have to think through the look, feel, functionality and design of our buildings, houses and transportation. All of this (and more) is considered when planning a city or community. To make your vision/plan a reality, you will need a way to guide uses and development on property. Planners do this through zoning and zoning codes. Zoning is one of the key building blocks of a modern city, managing where buildings are constructed, what they look like, how much landscaping they have, and how they are used. Zoning typically uses a color-coded map that identifies which zone each property in the city falls into. A zoning code establishes the details of what can and cannot be done in each of the zones. If you want to learn more about the different ways to write zoning regulations check out the ‘Types of Zoning Codes’ post written by our re:code LA team. 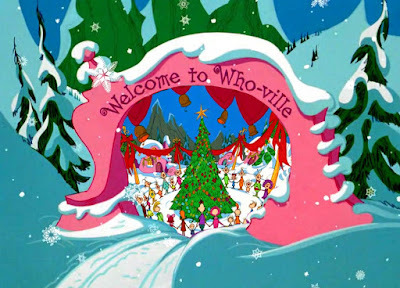 This is “You-ville,” so you can do what you want there. In the City of Los Angeles, our zoning is guided by our “General Plan,” community’s long-term vision for how the community will grow, develop, and function in the years ahead. While the general plan contains ideas for the future, the zoning code is the implementation tool that makes those visions a reality. Define the vision, develop the plan, create the code (zoning) and go forth and build! 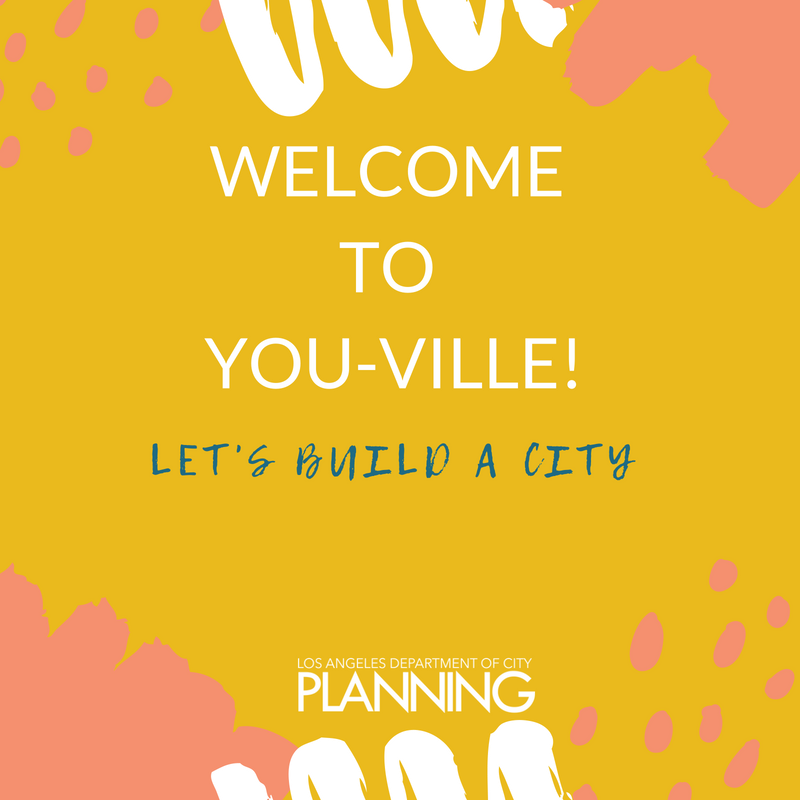 Ready to start creating “You-ville?” Great! Let’s go! Visit our re:code LA team’s website and our LA City Planning social media channels to learn more about how we continue to update, maintain, and implement the City’s plans. Based on recent data, African-Americans only represent 7.9% of those in the planning profession. In 2017, TheRoot.com published an article titled, “Urban Planning Can’t Happen Without Black People in the Room—Yet It Does,” reflecting on the importance of having multiple voices when planning and designing a city. In the City of Los Angeles, we see diversity throughout the City and in those who are helping plan the future of Los Angeles. In 2018, 16% of new hires and 12% of all promotions within the Department of City Planning were of African-Americans, representing 12% of the entire Department. Below, the Department of City Planning’s African-American City Planning Assistants and Associates share their advice for those interested in entering the profession. Scroll below to get their insights, and get inspired to plan! City Planning Partners with Council Districts at Metro DSC! On Wednesday May 14, City Planning staff at the Metro Development Services Center, or DSC, opened its doors to Council District Planning Directors and Deputies. The behind-the-scenes tour allowed Planners and Council staff to create better partnerships and strengthen communication! City Planning works more effectively and efficiently if community members know the ins and outs of project planning and processing. 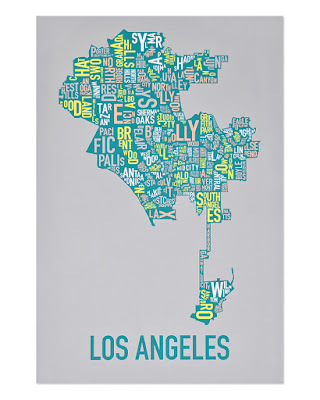 And no one knows each district of Los Angeles better than their Council District Planning Directors and Deputies. Their input is vital to us staying informed and well versed in working on our shared vision. 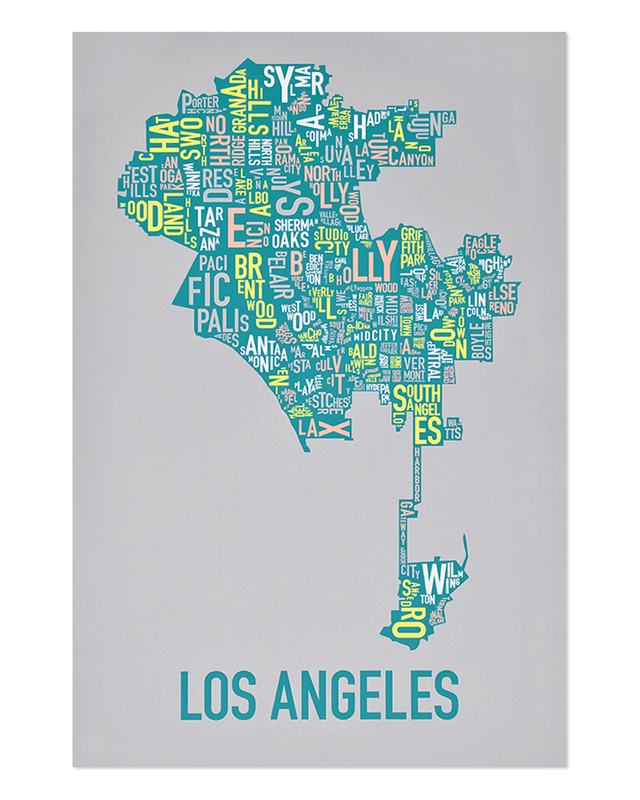 As they work on the front lines each day with Angelenos, District Planning Directors feel the pulse of Los Angeles. At the same time, planners at our Metro DSC are getting that same first hand feedback from customers. Naturally, the Department felt it critical to allow Council staff to witness a day in the life of a planner at the counter.